How adorable! He's just precious Do you speak in Japanese to him a lot? I was cleaning the table when Kowhai up and found my son's toys and this happened so I had to film it before finishing, lol. Hahaha, go Pikachu & Kowhai. 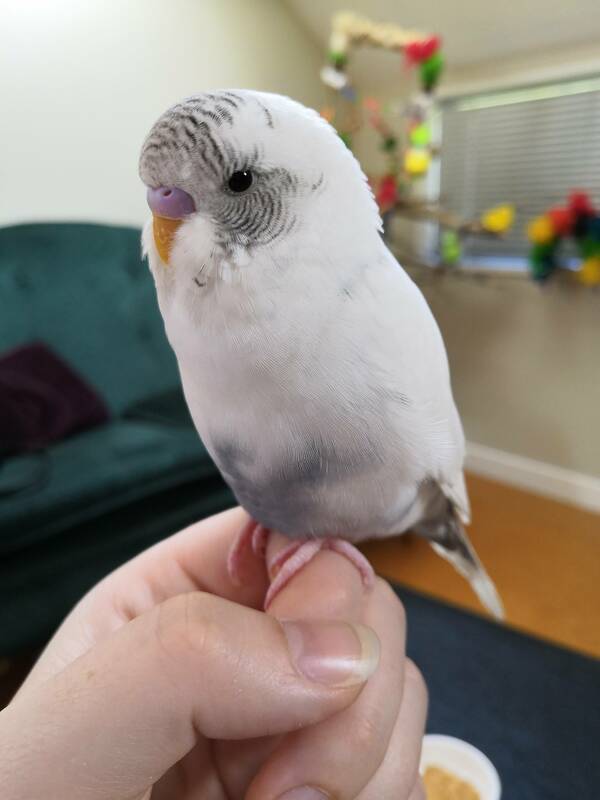 I love it when Peanut does the ‘budgie bounce’. I’ve always wanted to capture it on video but I’m never fast enough. Unfortunately JoJo and Alkira don’t do it. Kowhai looks like a real little character. He’s like a toddler. I hope that one day soon you’ll be able to get more video of him talking. Oh my gosh! 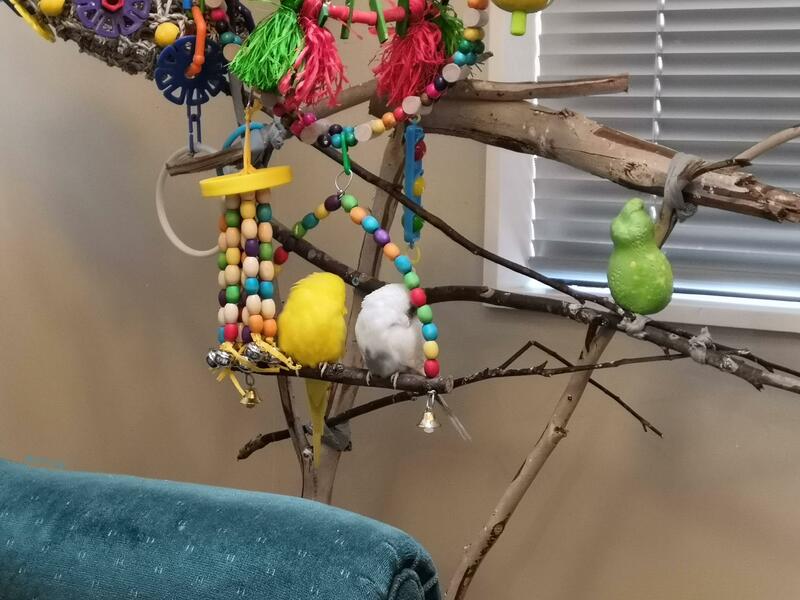 Kowhai is so adorable !! Kowhai is SO cute playing with Pikachu! He looks as if he's dancing with him. Sorry for lack of updates! 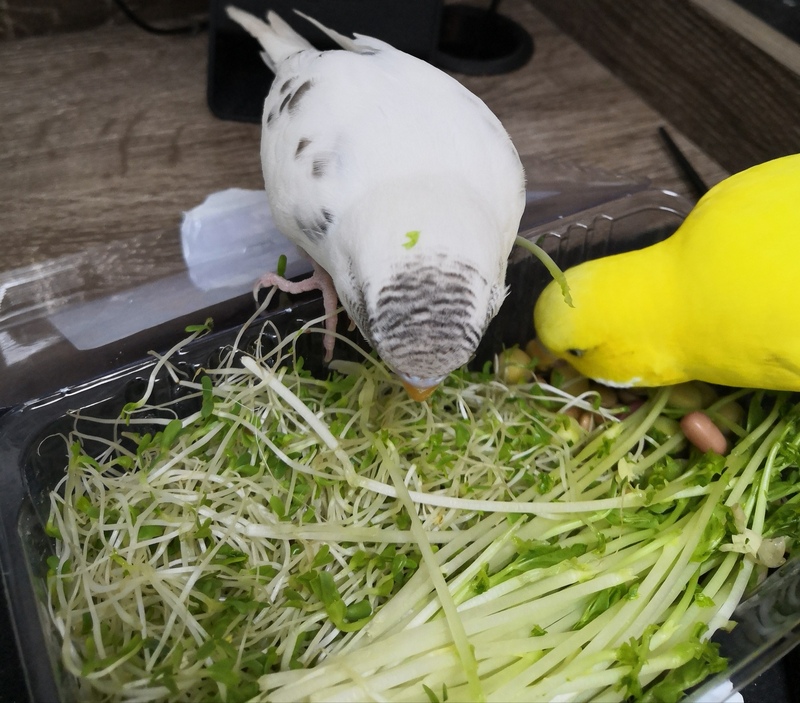 Been very busy with work and family stuff, but wanted to let you all know how Kowhai and Tio are getting along! Tio is VERY shy and timid. He's ben gaining trust in me little by little and loves my glasses! The finally met and Kowhai immediately took Tio under his wing and got about showing him the most important things. "See, Tio, When mummy makes a sandwich we grab da' goods before she notices!" "This is the good sleeping place. But I'll only share with you once." 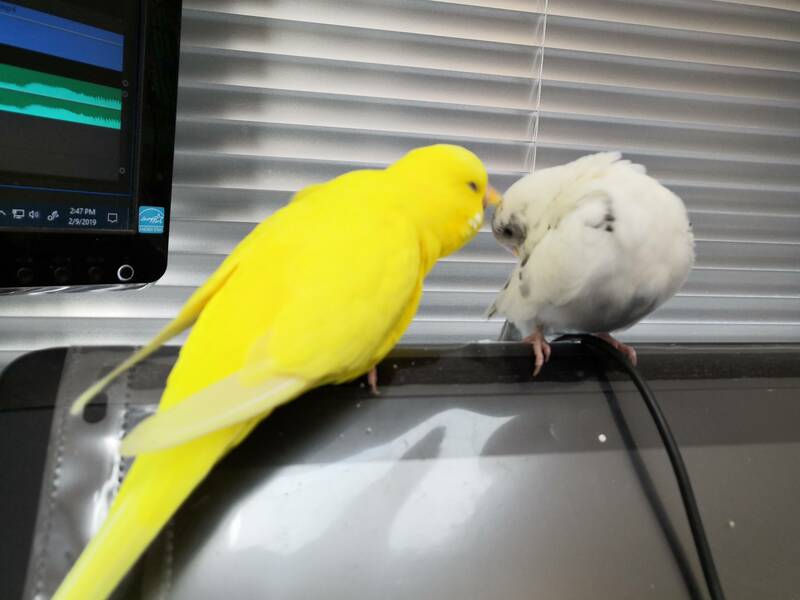 This one may look like Kowhai's snapping at Tio, but actually he's just trying to sneak in a chance to preen! He wants to so bad but Tio won't let him! They are just too precious together! Sweet pictures, I bet it won't be too long before Kowhai influences Tio to stop being so shy and timid. I adore the pictures of Kowhai with baby Tio -- SO precious!